When you think of a 200-year-old ship, a vessel made for another era, you might not think ‘accessible.’ You’d be right, but that doesn’t stop those looking after HMS Unicorn from doing everything they can to ensure everyone can enjoy Scotland’s oldest ship. 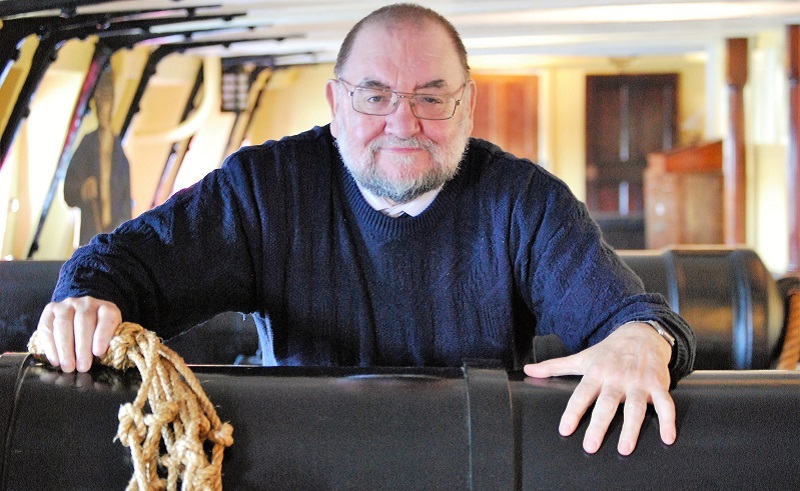 Anchored in Dundee, HMS Unicorn is one of the world’s six oldest floating ships and now serves as a museum and attraction with a rising number of visitors interested in the Golden Age of Sail. Curious, we asked HMS Unicorn’s Learning & Engagement Officer, Andrea Campomanes, to tell us more about what they have done to make their historic ship more accessible. 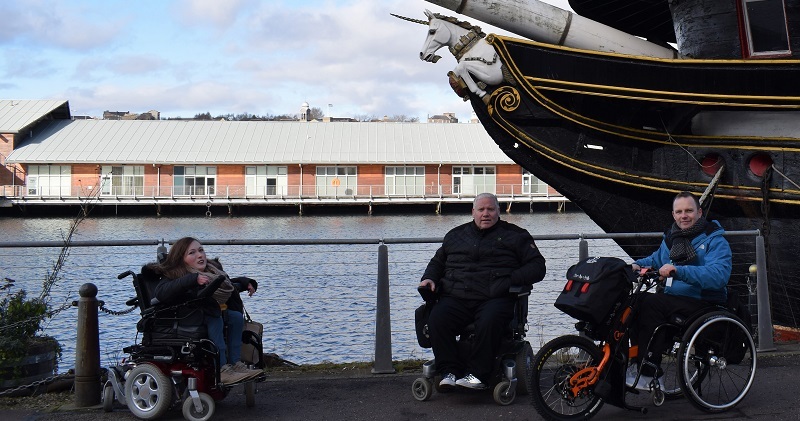 As well as updating their Euan’s Guide listing and providing an Accessibility Guide on their website, Andrea tells us they began construction on accessible toilets just outside the ship that are due to open by summer 2019. ‘These will be accessed by a code system provided by HMS Unicorn Front of House staff.’ There is also a Changing Places facility in the nearby V&A Dundee. Photo: Euan's Guide Ambassador, Claire, on board HMS Unicorn. Photo: Euan's Guide Ambassadors Claire, Gary and Ryan outside HMS Unicorn. Photo: Bob holding one of the ship’s tactile handling objects. Have you been to HMS Unicorn? Tell us about your experience of access at this museum! Your reviews make it easier for disabled people to find great places to go. Write a review.